Residential roofing and choosing or vetting qualified roof repair contractors is not an easy task unless you are an architect, or builder and understand the industry. The National Roofing Contractors Association has some great information as a 3rd party advocate that does endorse any manufacturer or Roofing Company. Here is a helpful link: http://www.everybodyneedsaroof.com/ – a helpful Consumer Guide authored by the N.R.C.A. has some great Qualification Questions that home owners may want to ask during the vetting process of choosing a Roofing Companies Houston contractor to trust to install a long term investment that both meets all applicable local building codes, best industry standard, and manufacturer’s installation protocol. So much has changed since Hurricane IKE hit Houston 6 years ago. such as: the requirement that all residential roofing permit applications must be accompanied by a notarized affidavit stating that: “all applicable local deed codes are not in violation”, then there is what used to be in the fine print on the back of Page 2 / which has not gone away, it just is not on the new digital building permit applications. In the State of Texas under State Penal Code: 37.10 anyone whom makes a false statement on a building permit application, is subject to a Class A misdemeanor punishable by up to 1 year in Jail and / or a $4,000.00 fine per occurrence. The next act of God will serve as “the mud test”, to see if insurers and building code authorities will become involved when observing blatant acts of negligence that are directly related to why the roof did not perform as per local building code requiring a nominal 110 MPH wind rating for peak 3 second gales. Another thing I cannot stress enough is the importance of NFA protocol = (Net Free Area / for under the roof ventilation) a requirement by both local building code, and literally every composition shingle manufacturer to be met or exceeded which I see everywhere on new homes; however often in older homes that once had “wood shake shingles”, they often were not designed to today’s standards, as wood shake roofs were installed on 1” x 4”s attached to the rafters about 10” apart, and not solid sheathing, this allowed the attics to breathe, when they were removed and if the attic ventilation was not addressed, over the years it has been associated with excess heat transfer / increased energy consumption, and premature aging of the roof system. As well as if NFA protocol is not met it can nullify many roofing manufacturer’s warranties. What is N.F.A. Protocol? It stands for Net Free Area for ventilation. Many owners as well as roofing contractors often do not realize that a roof is very much like a car, in that it needs to be able to intake air (much like a car’s engine) and outtake warmer air at a higher elevation, (much like a cars exhaust). I often use cars when talking with people about roofs, as most people have cars pretty well figured out. When to change the oil, when to change the breaks, and when to maintain it, as it is an asset, and one that depreciates. A roof is a huge asset, and depending on the system, and how well it is installed it could actually add value to the property, while reducing utility consumption at the same time. Often 20% which can greatly increase the return on investment. A Certificate of insurance listing the home owner as “additional insured for: roofing operations” with a Class A Policy that has umbrella, aggregate, and workman’s compensation for a nominal $1,000,000.00 per occurrence. This provides Indemnification up front, and down side protection down the road, should the roofer move or go out of business. A yellow approved permit from the city of Houston Department of Public Works and Engineering Structural Division, with a Prospectus. This assures that the job re roof cannot be stopped while in production for not being properly permitted, it also proves to your insurer if there ever is a loss, that when your roof was replaced it was Inspected by the Department of Public Works and Engineering, and passed for meeting all applicable building codes. An office with a physical address, and hopefully also credentialed by the BBB, as residential truly is where they can offer immense value. They know who has had complaints and who is a legitimate contractor. As I mentioned earlier, times are changing. Insurers are becoming better trained, as well as often hiring forensic roofing experts to determine if a loss is true, and based on the claimed act. Here is a link for the “glossary of roofing Terms”: http://www.everybodyneedsaroof.com/Glossary – This is the most duplicated piece of roofing content I know of. No matter if you are buying a home, building a home, or have a home that needs a new roof. The one thing I can attest to is that Texas is a “right to work state”, and there is no license needed to be a roofer, only electrical, plumbing, and mechanical. Oh yeah, you have to license to cut hair; however we re-roofed home land security with only certified applicator credentials. If you are in the market for a new roof please print a copy of this as well as the links that go with it. Give us a chance, we have always had the philosophy, “we can show you better than tell you”. There is a contact form in the Column as well as our phone numbers up top. The sooner you call or fill out the “How Can we Help?” Form, the sooner you can be sure that you are comparing apples to apples, and are getting sincere answers from true roofing professionals. 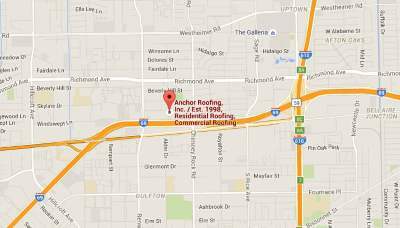 Contact us roof repair Houston for reconstruction and leakage for your roof.